Tall palm trees with coconuts, blazing bougainvillea bushes of purple, hot pink, and red, and lots and lots of sunshine. Yay! 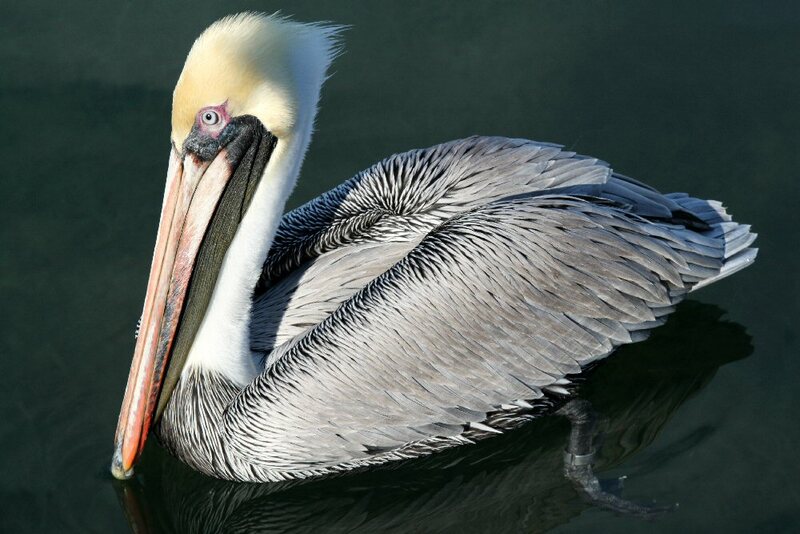 We were finally in Key Largo, Florida. 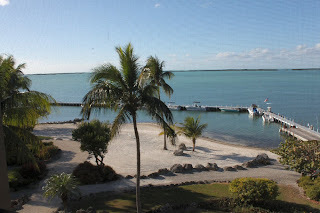 Key Largo is the beginning of a chain of islands that stretches all the way down to Key West which is only 90 miles from Cuba. The area thrives on tourism. Those who live here are mostly involved somehow in the tourist industry--restaurants, marinas, fishing charters, diving, hotels, and services that help to take care of the tourist while they visit. Condominium complexes are more common than single dwelling homes. Condominium owners rent their condo-apartments on a weekly and/or monthly schedule. Most of the people drawn to this area of Florida are from the north. We see license plates in the parking lot from Massachusetts, Maine, Pennsylvania, New York, and Ontario, Canada. Our complex is called The Rock Harbor Club. It is a gated community with several buildings. The tallest is five stories and we are in that one on the fourth floor. The view is spectacular. We look slightly northwest into what is called Bayside. Lots of little islands dot the water in front of us. Our complex has a large dock for pleasure boats, a small sandy beach, tennis courts, and a nice heated pool. Believe it or not, the heated pool is necessary because the weather can be a little cool for swimming sometimes in the winter months. 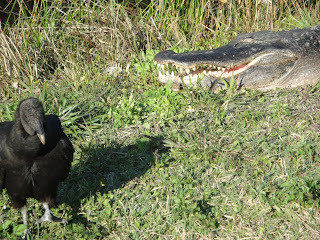 Just to the north of us is Everglades National Park , a place we will have to explore again. There is always something new to see and do there. The wildlife is entertaining and this time of the year, the mosquito population is down. Close by is John Pennekamp Coral Reef Park, a state park that is a marine preserve and a great place to snorkel or dive. Lots of trails to explore as well. We have found several churches in the area for Sunday worship and passed by a huge school complex for the kids who live here year round. Publix is the place to grocery shop but if we want to see a movie we'll have to drive all the way north to Homestead where there is a large multiplex theater. For now, we just want to kick back and relax. We've driven about 1300 miles to get here and the sun and the sand and the water are just too inviting. As we eat dinner, we see the fishermen come in for the day and take their catch to a special table to clean their fish. 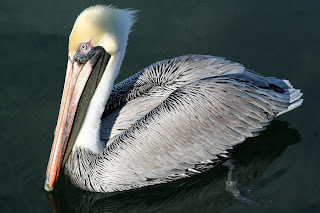 The parts of the fish they don't want to keep, they toss to the pelicans who have gathered around knowing that they will get lots of treats. It's hilarious to watch the pecking order among the birds. While the sunset is not directly in front of us, we can still see it from our balcony. The sun sinks into the water like a glowing red ball and once it has disappeared, the lingering rays illuminate the sky with pinks and purples. It's a very peaceful evening with a gentle breeze blowing in from the water. 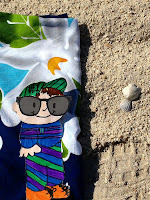 The next day, Stanley stretched out on the beach to catch a few rays while we learned a little about kayaking. He's had quite an adventure but it's almost time to pack him up for his return to Plain City. I hope it won't be too cold for him there. He seems to like being a Snow Bird. Flat Stanley - The Rocketman! 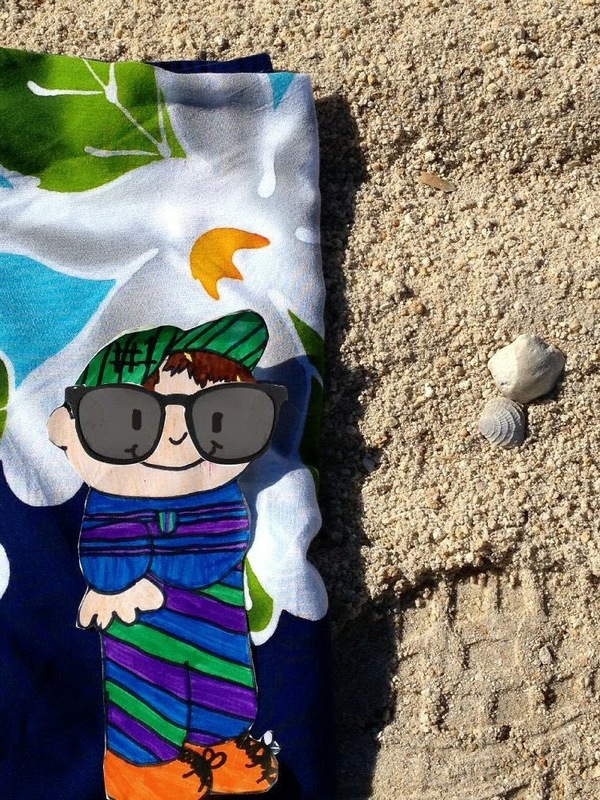 Flat Stanley - Florida, At Last!